Paneer Butter Masala is a famous Indian curry.Probably, most people order it with Tandoori roti or Rumali Roti at a restaurant .It may also make or break a reviewer’s opinion about a restaurant.Most noteworthy,this recipe is a favorite with all age groups.You can pair it with Pindi chole and rajma for any party.However,it is easy to make at home. Make this curry for any special occasion.It has minimum spices but is still rich and yummy. It is also kid friendly and even aged people can eat it.Bachelors love it, so do the groups of large families.Many non-vegetarians also love their cottage cheese. If you love your paneer, you can make it in advance .Alternatively, buy some from any local dairy over the weekend. Whip up a quick treat if you have guests coming home at a short notice. Heat 2 tbsp.oil and add onions & salt,saute for 5 mins. Now,add 2 cups of water and mix . In a pan,add 2 tbsp.ghee/oil with blended mix . Add cottage cheese cubes to the gravy and let it come to a boil. Serve hot with roti or jeera rice. click Punjabi to search more Punjabi recipes. 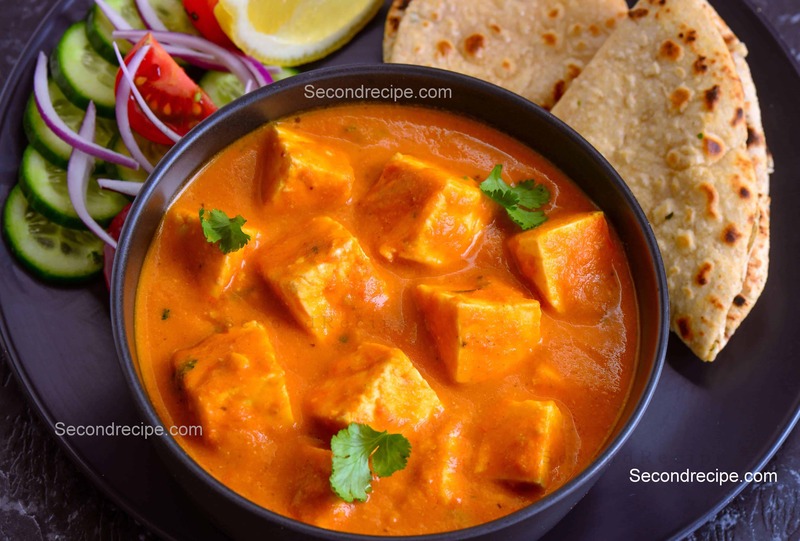 Click Paneer if you want to read more Paneer recipes. Almost once in a week I prepare paneer following the above recipe.. yummy it’s..